Are you looking to buy Robot Coupe machines online? Lot’s of people are now buying online and with almost 50% of searches coming from mobile browsers, we’ve made sure ours works on your device (responsive design). We’re currently in the process of adding products to the site and whilst we may be a little early in launching, we wanted to let people know the good news! 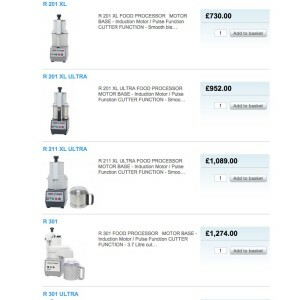 Food Processors are listed here and we’re gearing up to complete the inventory in the coming weeks. Even if a product is not listed, we can still supply the complete Robot Coupe range of catering machines. Very soon customers will be able to buy Robot Coupe machines online and benefit from our discount and super-fast delivery. We’ve even been sending parts to Sweden! Many products are subject to free delivery and we combine postage where we can to save you even more money! 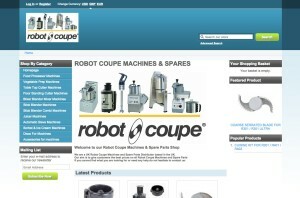 Take a look at http://robotcoupemachines.co.uk/ if you’re looking to buy Robot Coupe machines online and let us know if the machine or part you’re looking for isn’t listed. We can supply all machines and parts and being that we’ve been servicing these machines for many years, you know you’re in safe hands. That’s just our starting list – there’s more to add. Click the image to buy Robot Coupe machines online and save time & money today! Again, if there’s a price you need or advice about a part, just contact us here and we’ll happily answer any questions you may have. You can also call us on 0845 0945710 to speak to one of our engineers.